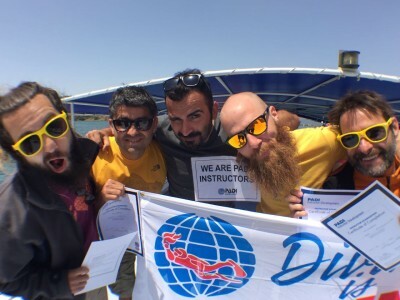 Following the PADI Instructor Develepment Course (IDC) conducted by our PADI Course Director Ozan Atabilen between the 17th and 28th of April, the PADI Instructor Exam (IE) was completed between the 30th of April and the 1st of May in Fethiye. 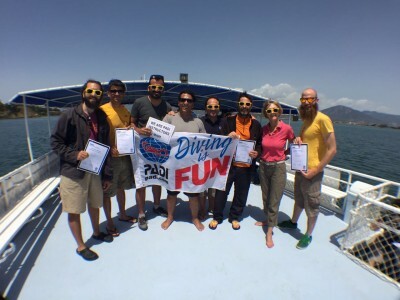 All our instructor candidates have completed this process successfully to become PADI Open Water SCUBA Instructors (OWSI). We wish success to Bora Ömeroğulları, Hakan Akkuş, Togay Tanyolaç, and Tolga Yücel in their new careers, and congratulate Ozan.